MANN, THESE GUYS ARE GOOD! 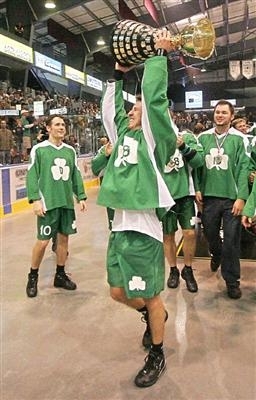 Victoria Shamrocks began in 1950 and the team’s name has been inscribed nine times on the national box lacrosse championship trophy. Cleve Dheensaw looks back on the long legacy of a local sports institution. 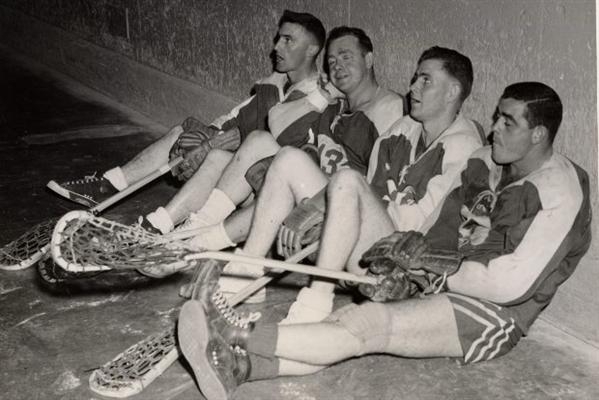 To fully appreciate the Victoria Shamrocks’ current 60 + seasons of lacrosse, just look at the staggering number of local professional or Senior ‘A’ teams in various sports that have come and gone during that time. A partial list includes the pro Cougars and Maple Leafs and major-junior Cougars of hockey, O’Keefes and pro Vistas of soccer, Bates-Budgets-Royals of softball, Chinooks, Scorpions, Maplettes and Rawlings of basketball and pro Athletics, Tyees, Mussels, Blues and Capitals of baseball. That is the nature of the sporting business. Nothing is forever. Yet the Shamrocks have endured. Mountain Arena in Langford. Even more than the nine Mann Cup Canadian Senior ‘A’ championships the club won in 1955, 1957, 1979, 1983 (as Victoria Payless), 1997, 1999, 2003, 2005 and 2015, it is the franchise’s longevity that is its most impressive legacy. It would be hard to imagine the local sports scene without the Shamrocks. 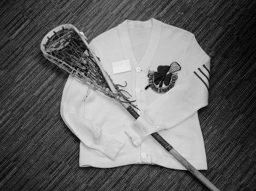 It is reflective of lacrosse’s deeply laid roots here that, in 1999, when Sports Illustrated picked its list of the 50 greatest Canadian athletes of the 20th century, two of the three Victoria athletes cited were lacrosse players and former Shamrocks — superstar twins Paul and Gary Gait along with Olympic rower Silken Laumann. Arnie Ferguson, Pee Wee Bradshaw, Jack Bionda, Jackie Northup and Geordie Johnston, there was a long dry spell as the team waited 22 years before its next national title in 1979. It was only the exploits of the quicksilver and gifted Dillon brothers — Ranjit and Nirmal — that kept things afloat through the otherwise barren 1960s before the club found its footing again in the mid to late 1970s, led by legends such as Ivan Thompson and then Kevin Alexander. The next great era ran from 1996 to 2006, when the club practically lived in the Western Lacrosse Association finals and Mann Cup, winning the national title twice in that span with the fabulous Gaits. Chris Hall spent 19 seasons with the Shamrocks, nine as a player and 10 as coach. 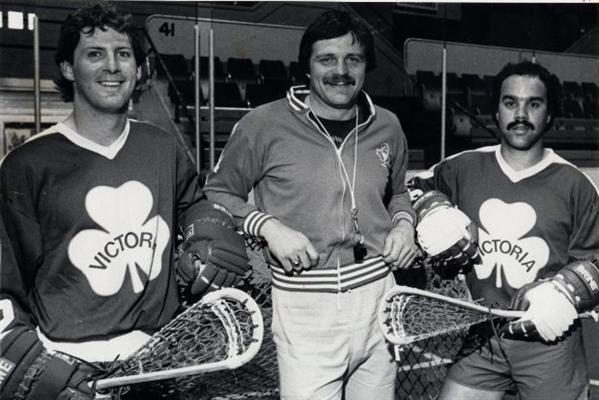 Hall has been involved at the international level in field lacrosse with Team Canada but says his greatest memory in the sport remains his first game in Shamrocks green in the 1970s. “I thought my feet would rise off the floor during the national anthem — that’s how emotionally high I was,” recalls Hall, now coach of the pro San Jose team in the National Lacrosse League, and whose father Leon helped found the club in 1950. Victoria has a reputation of having articulate and knowledgeable fans in a number of sports, including rugby, soccer and baseball. Lacrosse is very much on that list. In a poll taken a few years ago of players in the professional National Lacrosse League, they voted Victoria fans the best lacrosse spectators in North America. “The fans here are first class … these people know the game,” Webster says. It is oddly distant to hear people from the prairies talk of playing hockey in winter and baseball in summer. In lacrosse hotbeds such as Victoria, New Westminster, Coquitlam and Burnaby in B.C. and Peterborough, Brantford, Brampton and Whitby in Ontario, the big connection has always been hockey in winter and lacrosse in summer. Gordie Howe of Floral, Sask., was a baseball guy in summer but Wayne Gretzky of Brantford was a lacrosse player. Books written about Gretzky and Victoria’s two-time NBA MVP Steve Nash show pictures of both holding lacrosse sticks as kids. That’s what comes with growing up in a lacrosse town. And — sorry Brantford — there is probably no bigger lacrosse town than Victoria. ‘The fierce loyalty of Shamrocks players and alumni is matched by the equally fierce loyalty to the club and to the game itself shown by Victoria lacrosse fans,” Hall notes. The Shamrocks, however, now find themselves in a crowded Victoria summer sports calendar and up against the pro baseball Harbour Cats and high-amateur Highlanders of soccer and also this city’s famous penchant for running, rowing, cycling and sailing from the grassroots thousands right on up to the Summer Olympics. Yet it’s no different than the dynamism at play when the Shamrocks came into existence in the 1950s, when every Victoria team held its own. The Shamrocks and Lester Patrick’s Cougars of the old professional Western Hockey League drew large crowds to Memorial Arena and the professional baseball Athletics and Tyees and soccer sides, which would often play top touring English clubs such as Fulham, did the same at Royal Athletic Park. “Back then, there weren’t as many things to do like tennis, slowpitch, squash or curling and, as a result, crowds used to average 3,500 to 4,000 at Memorial Arena for our Shamrocks lacrosse games,” the late Archie Browning, one of the greatest Shamrocks stars of all-time, once noted. Big Victoria crowds are happening again for hockey, baseball and soccer. Through it all, the Shamrocks continue to hold their own with a staunchly diehard and passionate fan base. If Tommy Lasorda famously bled Dodger blue, many in Victoria have oozed Shamrocks green over the years and continue to do so. “It’s really hard to explain … people talk about bleeding green and about what it means to be a Shamrock runs deep,” Welch says.